Welcome to BP Auto Service Center! 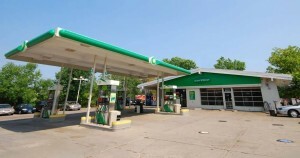 BP Auto Service Center is a full-service auto repair facility located in Rosemount and Mendota Heights, MN. We are locally owned and operated and pride ourselves on exceptional customer service. Our business philosophy is simple: Do honest work for people at a fair price. We believe that when we do this, people will continue to come back for all of their car repair and maintenance needs. Our highly-trained and certified technicians will work in to get you back on the road as soon as possible. We will gladly tow your vehicle to any of our locations for your auto repair needs. With over 40 years of experience you can be sure of our dedication to providing good, honest work to our communities. Our service center in Mendota Heights strives to perform the best auto service possible. With over 40 years of experience and hundreds of excellent customer reviews you know why everyone in the surrounding communities come here for all their vehicle needs.